Sony has launched a trio of smartphones at IFA 2015 today. The headline grabbing Xperia Z5 Premium, "the world's first 4K smartphone," might be the star of the show but the more mainstream Xperia Z5 and Xperia Z5 Compact smartphones will probably shift more units. "When you own an Xperia smartphone, you own a Sony digital camera"
Large 23-megapixel, 1/2.3-inch Exmor RS back illuminated CMOS sensor for mobile image sensor ensures smooth, clear capturing with true-to-life details. Sony's award-winning G Lens captures more light and the 24mm wide-angle lens allows you to fit more in the frame. BIONZ for mobile image-processing engine produces vivid, realistic colours and reduces pixellation and noise. Hybrid Autofocus with a claimed 0.03s autofocus time. Touch capture – touch the screen to focus and capture image or use the dedicated camera button. Clear Image Zoom for minimum loss of quality, plus low light sensitivity. 25mm wide angle selfie camera with SteadyShot and Intelligent Active Mode. 4K video recording (except the Z5 Compact). Other things this range of smartphones have in common are; a Qualcomm Snapdragon 810 processor, Wi-Fi and 4G connectivity, NFC, Bluetooth 4.1, up to 2 days battery life, High-Resolution Audio with Digital Noise Cancelling microphones, side mounted fingerprint sensors and 3GB of RAM (the Z5 Compact has 2GB). They all can be bought with up to 32GB of storage and can use microSD cards for expansion. None of them is shy of water or dust, offering IP65 and IP68 spec. They all come with Android 5.1 Lollipop installed. Another commonality is the use of Sony Triluminos mobile displays but, of course, in different sizes and resolutions. 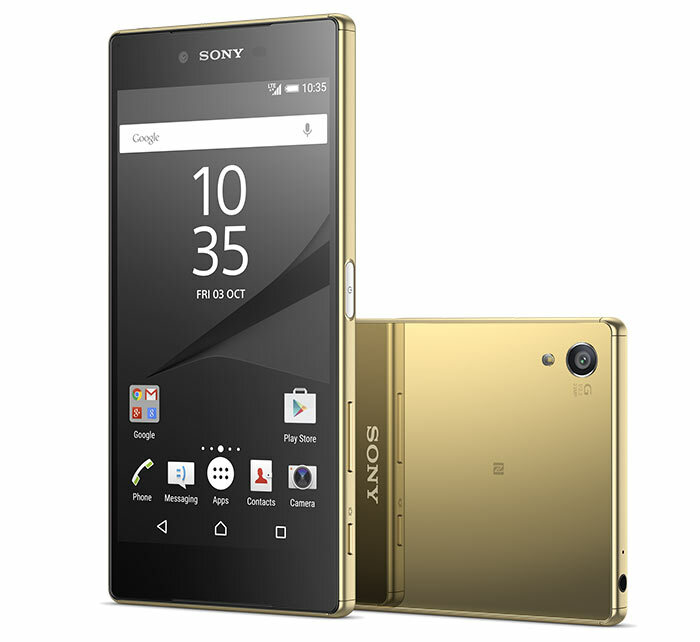 The Xperia Z5 Premium has a 5.5-inch 4K UHD (3840x2160), 806 PPI display. It weighs 180g and measures 154.4 x 76.0 x 7.8 mm. It has a 3430 mAh battery. RRP is £699. 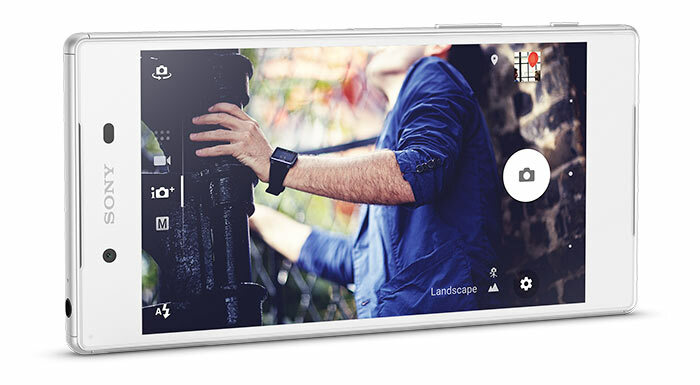 The Xperia Z5 has a 5.2-inch FHD 1080p (1920x1080) display. It weighs 154g and measures 146 x 72 x 7.3 mm. It has a 2900 mAh battery. RRP is yet to be published. 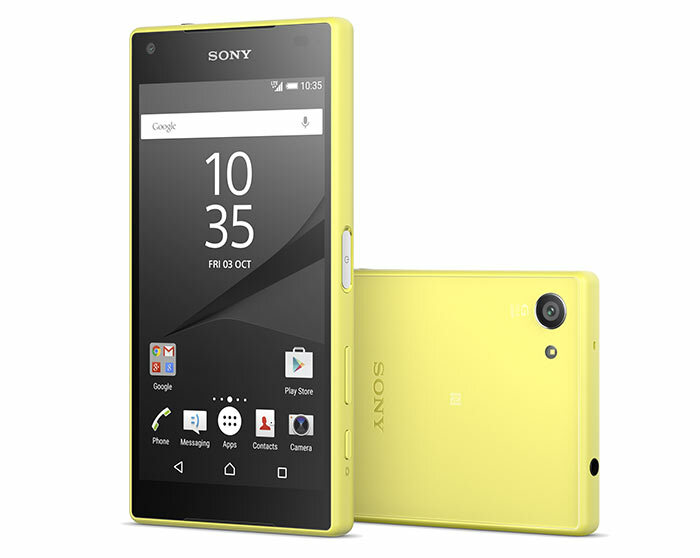 The Xperia Z5 Compact has a 4.6-inch HD 720p (1280x720) display. It weighs 138g and measures 127 x 65 x 8.9 mm. It has a 2700 mAh battery. RRP is £549. In an email to HEXUS, Sony told us that the Xperia Z5 and Z5 Compact will launch globally from October 2015, and Xperia Z5 Premium from November 2015. The two larger smartphones will be available in dual-SIM variants depending upon your region. In the UK the Xperia Z5 will be available in Gold from Carphone Warehouse, EE, Ice White exclusive to Carphone Warehouse, Graphite Black from Vodafone, O2, Carphone Warehouse, EE, Virgin & Three, Green from Vodafone, O2, Carphone Warehouse, Virgin & Three. The Xperia Z5 Compact will be available in White exclusive to Carphone Warehouse, Graphite Black from Vodafone, O2, Carphone Warehouse, EE, Virgin & Three, Yellow exclusive to O2, Coral from Vodafone, Virgin & Carphone Warehouse. That sounds like a fantastic phone. But I'm unsure whether my eyes could really tell the difference between, lets say, a QHD and a 4K screen on a phone. But I also didn't think much of 4K monitors until I saw one in real life, so I'm reserving judgment until I can hold the phone in my hand. Either way it's nice that mobile tech is being pushed. Overheating Snapdragon 810 with 4K display, that it can't really power. That sounds like a total disaster aimed only at giving them opportunity to say “hey, we were first to introduce such a stupid idea to market!”.